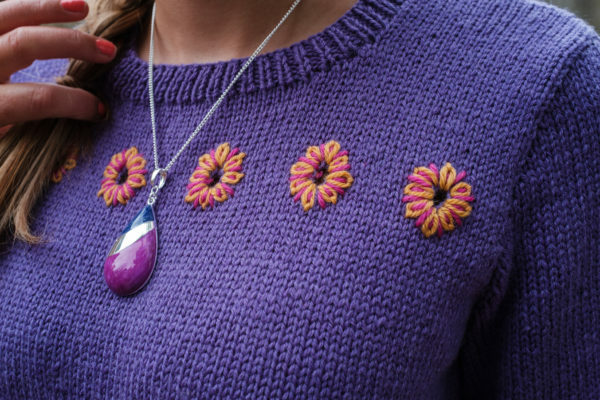 We have chosen King Cole Majestic DK to make this colourful sweater in shades Violet (2653), Amber (2658) and Cerise (2659). They create a lovely effect when worked together. There are 31 shades in the range if you prefer to mix and match. You can view the shades and find your nearest stockist here. Instructions are given for six sizes ranging from 81/86 cm (32/34 ins) to 132/137 cm (52/54 ins). Actual size is 5 – 10 cm (2 – 4 ins) bigger. The striped pattern is worked over an eight-row repeat with the yarn not in use stranded up the side. The remainder is worked in stocking-stitch with eyelets worked on the yoke, too. 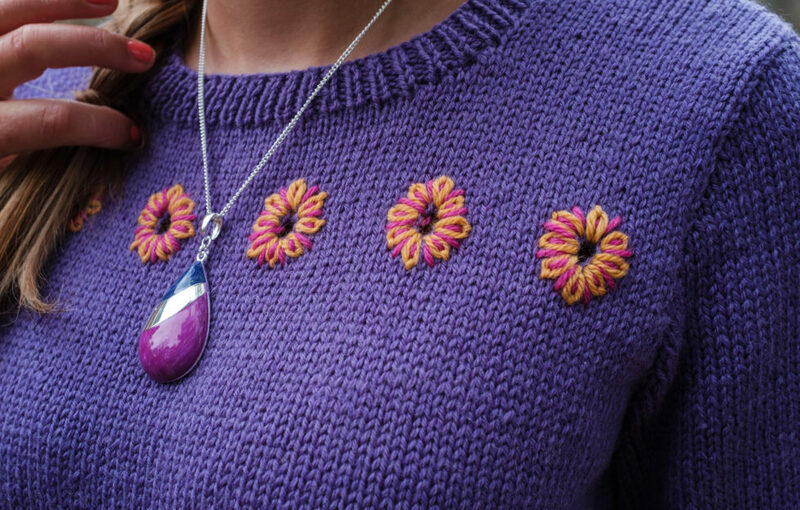 Don’t be scared of the embroidery, it is a simple Lazy Daisy stitch and we have included a diagram with the pattern. If you prefer to leave the yoke plain, just omit the eyelet row. 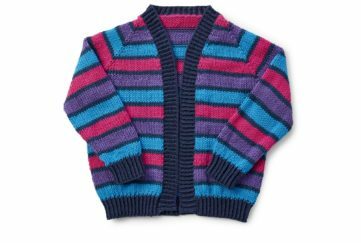 With or without the embroidery this is a cheery sweater. Make it now and brighten everyone’s day.